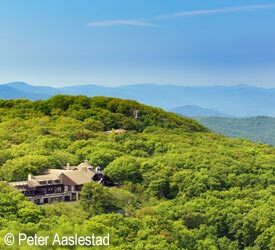 Virginia’s Shenandoah National Park presents the majesty of the Blue Ridge Mountains, the Shenandoah Valley and the heart of the Appalachian Trail. 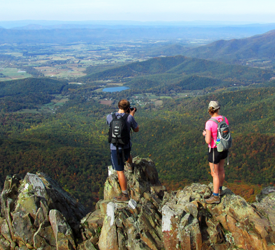 Shenandoah National Park features 196,000 acres of protected wilderness and rich recreation. It’s also a place settlers called home for over 100 years before gaining national park status in 1935, offering a rich historical perspective as well. 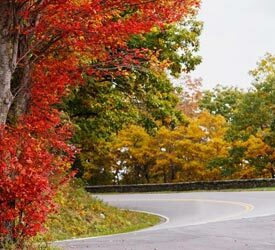 For many, the experience starts on Skyline Drive — a National Scenic Byway that runs the length of the park. Roll down your windows, tune into Shenandoah’s steel-belted song and get ready to discover a new scenic vista at every turn. Before and after your drive, relax at Skyland, Big Meadows Lodge or Lewis Mountain Cabins. The Shenandoah River and Shenandoah Valley are to the west. The rolling hills of the Virginia Piedmont, to the east. And everywhere, there’s the Blue Ridge Mountains serenity of Shenandoah National Park.